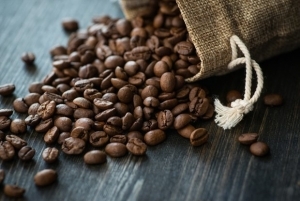 1 520 packs of undeclared coffee, which arrived in a container from Vietnam, were revealed by employees of the Vladivostok customs at the customs post of the Vladivostok Sea Port. Item arrested. Reports about it "Vesti: Primorye" with reference to the representative of the Vladivostok customs Asya Berezhnaya. The Russian importer submitted to Vladivostok Customs a declaration on the import of 1 703 boxes with foodstuffs - “Chile” sauce from Vietnam. During customs inspection, Vladivostok customs officers found in the container, in addition to the declared goods, 1 520 packs of undeclared coffee, with a total weight of 520 kilograms. The product was hidden under the boxes with chili sauce. The importer deliberately concealed the product, as he had no authorization documents confirming the quality of the coffee. Item arrested. An administrative case for non-declaration of goods.